Franchise Simply makes it incredibly easy to grow your business by duplication, with a simple system to follow and expert guidance to show you how. Get the business you love by partnering with the right people to make it happen. Having worked in the franchise sector for over 30 years and seen businesses I’ve worked with grow by over $5bn in that time, I believe franchising offers one of the most exciting business models around for anyone looking to create business growth and real wealth and financial independence for themselves. This experience has shown me that, although every business is different, the process to franchise is the same. There are four very simple steps you need to follow which will touch on your whole business. And, to be successful, you need to involve a team of franchise savvy specialists to help you along the way. The benefits of working with us through a clear structured process are great. The process is streamlined which makes it easier for you to work with Brian and our experts so it is faster and more effective. You know up front what needs to be done and how the information needs to be built up to give you a successfull outcome. It’s easy to measure what you have already completed or where you want to work on your own and where you need help to get the trickier bits done. Our programs are flexible and can be customised to suit your needs. You do not need to pay for expert help where it is not needed. 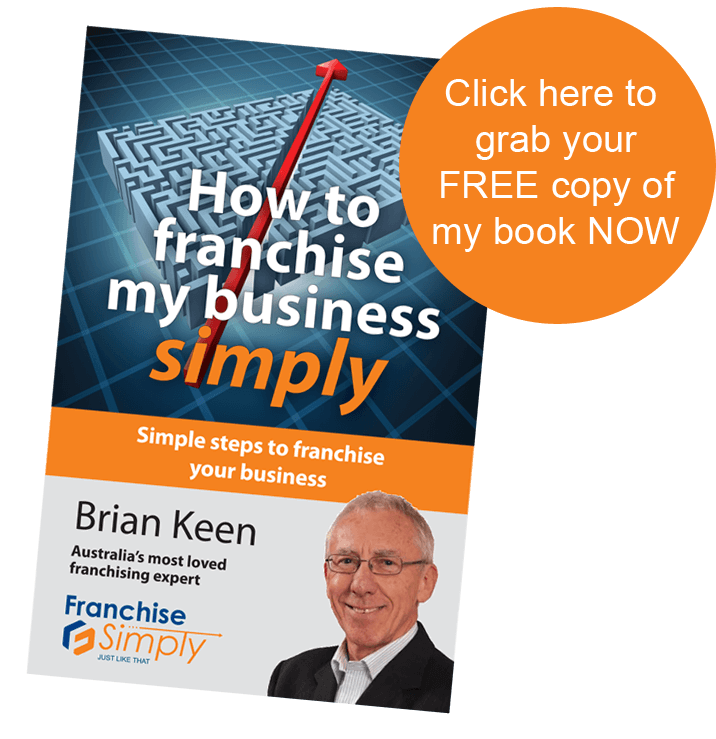 That is what we offer at Franchise Simply – our clear, flexible, simole step-by-step Franchise Sucess Path – delivered with Brian’s experienced management and mentoring and the caring expert advice from our team of franchise business specialists.